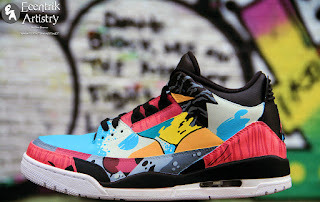 This shoe is what will probably be the final installment of my street art series (that could change though). The "Street Art" shoe was a custom theme I did back in 2014 (see here), then I later got the idea to do a part two and then a year later a part three. Part 4 actually came about by accident this past weekend. 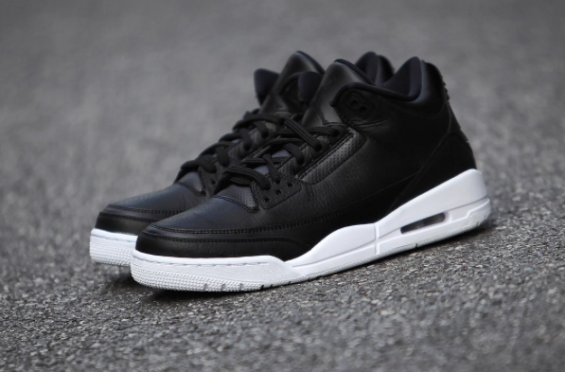 I had a personal pair of Cyber Monday Jordan 3s that I didn't know what I would do with. 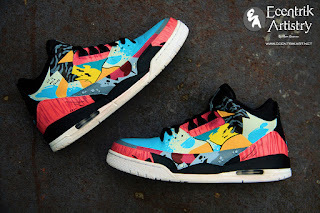 First I went through a couple old mock ups I did of unreleased ideas and was going to do one of those. I couldn't find one that grabbed me at that moment so I started to make a new one. After changing a few details repeatedly I went ahead with the design despite the fact that deep down I was still a bit unsure of it. 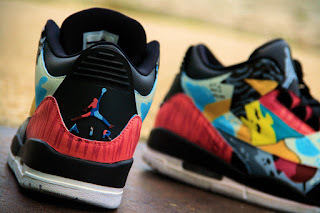 As I worked on the shoe I changed a few details along the way so a good portion of the design was freestyled. 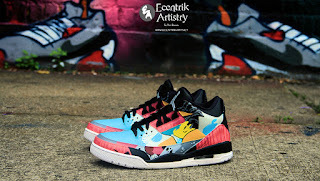 I didn't have any idea what I would call the design but after looking at the shoes once completed I felt like they had that same composition and energy as my previous Street Art shoes so I decided to make it part 4 (which I originally told myself I was gonna stop the series at 3). 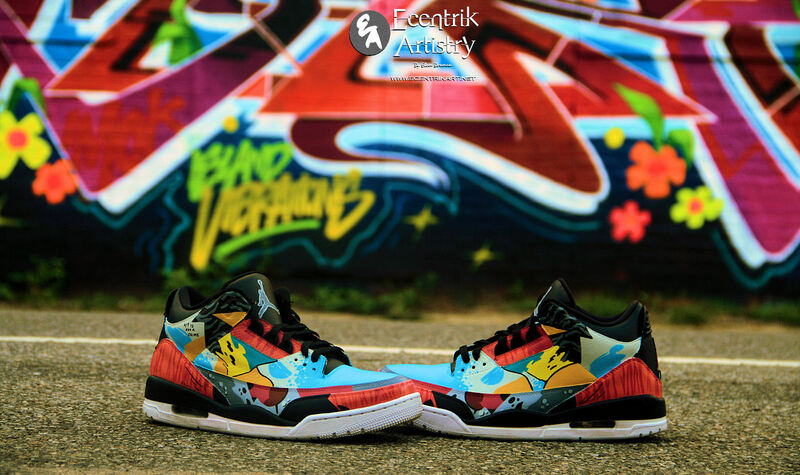 This shoe is available at the online store (link below). Although I used the Cyber Monday 3s for this pair I will most likely use the Triple White/Pure White Jordan 3s for future orders. 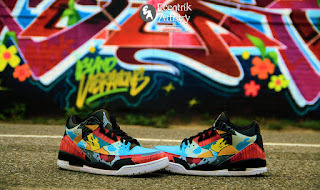 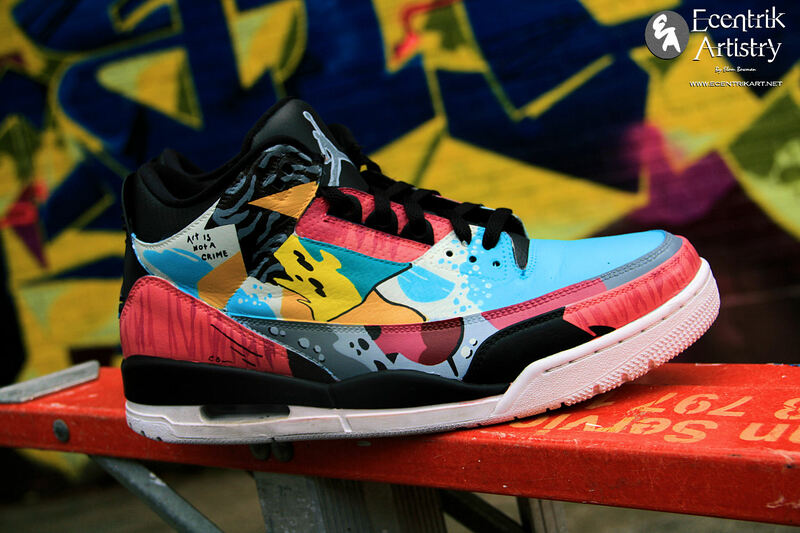 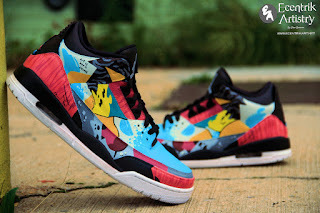 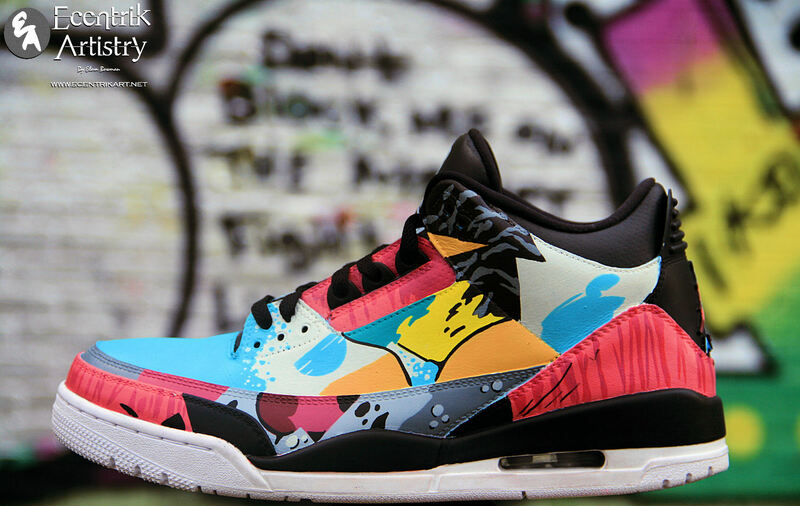 Order the Jordan 3 "Street Art, Part 4" customs here.